Is Settling for OK Ever Really OK? 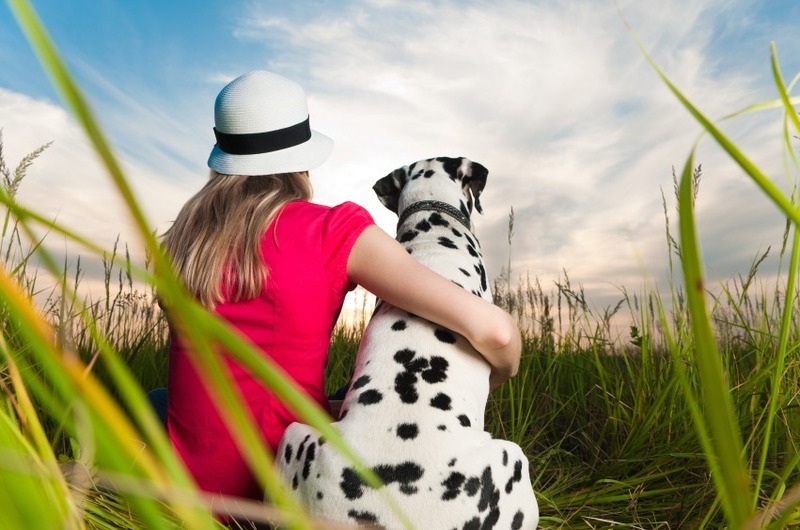 beautiful young woman in hat sitting in grass with her dalmatian dog pet with their backs to camera. Sunset cloudy sky in background and green grass in foreground. aren’t following your passion because you think you are too old/broke/broken/etc. See the pattern here? Many of us were taught that life is life and you take whatever comes to you – but as so many of us are realizing… we actually have some say in this! How about next time, instead of saying “I think this the best I can do…” you instead visualize what the ultimate situation would be like? Instead of saying “it’s not even worth it to look for a job in this economy” you take a few minutes and imagine yourself on Monster.com coming across the ultimate listing – perfect for someone with your qualifications? Or perhaps you imagine yourself sitting in a classroom learning about social work… whatever your dream is – settling energy has an outstanding and uncanny ability to perfectly neutralize that dream. Use your imagination to, instead, neutralize that settling energy! Life isn’t about achieving every single goal you can think of – but it is about knowing that you, like everyone around you, deserves to be happy. If you can believe it can happen, the universe will comply! https://www.daniellemackinnon.com/wp-content/uploads/2010/05/iStock_000013508452Small.jpg 564 851 Danielle MacKinnon https://www.daniellemackinnon.com/wp-content/uploads/2018/10/DM-Editable-Logo-new.png Danielle MacKinnon2010-05-05 10:00:002018-01-15 21:42:50Is Settling for OK Ever Really OK?